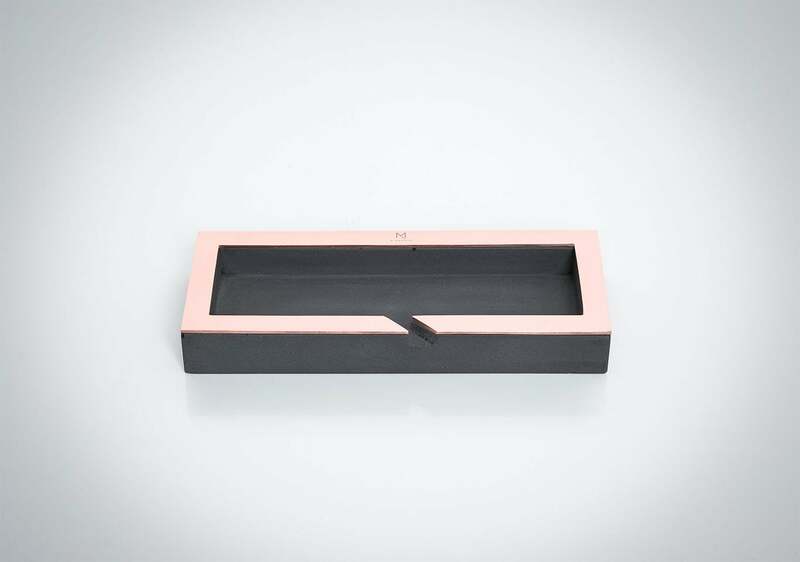 Unique handmade ashtray made of dark concrete and pure polished copper. Strong contrast of polished copper luxury gloss and grey concrete. 2 mm thickness copper frame is protected from ash, heat, moisture, oxidation, etc. Concrete surface is sealed and protected from ash and dirt.